As a Certified Professional Inspector, I endeavor to serve you with an unbiased inspection of the highest quality available – for your largest investment. We understand that buying a home can be stressful! Our goal is to serve you well by making it easy to schedule your home inspection, helping you understand the condition of the property you wish to purchase, and answering any follow up questions you have. My standard inspection is very thorough. I pay attention to the details so you can proceed through your transaction with confidence and peace. With 18 years of experience in the building industry, I have the knowledge and experience to spot problems with materials, installation, and workmanship. My reports are very thorough, but not overwhelming. They are easy to read and include lots of information to help you make an informed purchase decision, and also maintenance tips and items to monitor as time goes by. Learn how your home works, how to maintain it, and how to save energy. I give every client a full-color, 100-page printed book that I’ll hand to you at your inspection (must be present to receive). I believe there is a distinction between real value and perceived value. I believe in honest, straight-forward marketing and real value. 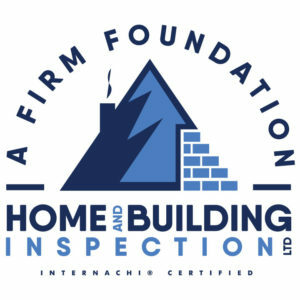 My standard home inspection combined with the ancillary services I offer is one of the highest quality and most comprehensive inspections in the industry. In addition, I will underbid the price of any other certified and insured inspector offering a service of similar or equal value. As a Certified Professional Inspector, my priority is two-fold; to arm you with the knowledge you need to make an informed home-buying decision; and to equip you with the information you need to properly maintain your investment for years to come. A home is probably the largest purchase you’ll ever make, so it’s really important to understand the condition of your investment. I will provide a detailed inspection and examination of the home’s accessible structure, systems and components, and I’m readily available to help you understand everything in your report. Are you selling your home? Let me inspect it before you even list it. A Pre-Listing Seller Home Inspection alerts you to any defects or problems with your home so that you can address them before prospective buyers discover them. You can then take the time you need to obtain reasonable repair estimates. Show prospective buyers that you’re dealing in good faith. Avoid 11th-hour negotiations and delays, and justify your full asking price by having your home pre-inspected now. You have likely invested many hours helping your clients find the right home for their needs. I want to protect that investment by communicating and reporting my findings in an unbiased, easy to understand way. Your clients rely on you to guide them through a complicated and sometimes stressful process. As an InterNACHI Certified Professional Inspector, my experience, training and professionalism will deliver the information your clients need in a way they understand. And my state-of-the-art home inspection reporting software will simplify and streamline the entire inspection process for you and your clients. Call us at 970-901-2684 . Our friendly, professional, and knowledgable office staff will be glad to schedule your inspection and answer any questions you might have. It’s easy to schedule your inspection online. Simply fill out the form below. We will review the details, arrange access with the Listing Agent, and send you a confirmation email. Note: For commercial inspections, please call for a custom quote. Very accommodating to the time crunch we had for the closing of our home. Very thorough inspection, and very organized detailed report. Tate is very personable and followed up with us upon completing the inspection. Tate Coulter conducted one of the most thorough inspections I have ever seen, and I have been a licensed real estate broker in Colorado for many years! Tate has done two inspections for us recently. In both cases he was thorough and professional. He came on time, equipped with what was needed to check all of the systems. His reports were concise and helpful. He explained what the major issues were and also the little things that might need attention at some time. I recommend him without reservation. Tate went above and beyond during our home inspection. He was very thorough, took extra time, and was very good at explaining everything clearly. On time, very knowledgeable and professional – I highly recommend! The inspection on our new home was very thorough and consisted of the roof top to the crawl space and everything in between. Being a new home, you would think there would be minimal mistakes made but our inspector found a number of mistakes that needed to be fixed. We were shown things we needed to know about certain systems in the home and how to take care of them. We received at the end a full report of the inspection along with pictures of the items that needed attention. The price of this inspection was worth every cent we spent for it. Now we have a permanent record of the inspection. We were given at the end a “Home Maintenance” manual that is going to be invaluable not only now but for years to come. I recommend this service very highly and will pass on the name of this firm and inspector to all our friends and any acquaintances we know. Thank you A Firm Foundation and Tate, a job well done. Tate did a great job. We do not live in the area, so we were depending on an inspector to point out areas of concern. He is very friendly and easy to work with. He went above and beyond for us. The inspection report was speedy and detailed, but very easy to read and understand. I really appreciated his attention to detail.